It is striking to note the strange similarity between the path of nationalism of cousins between the wars, the brothers of totalitarianism, pioneers in the art of handling the crowds that were Hitler and Mussolini. to complete their quest for the absolute deadly in the extreme right, through the same tortuous paths, using the weakness of parliamentary democracies in place. Hitler was fascinated by the early career of his mentor, came to power 10 years earlier (1922). Mussolini marched on Rome. The Führer will do the same in 1923 while walking on Berlin. No doubt that the Führer organized taking power in borrowing widely Mussolini. Soon, the student surpassed the master; going further in its policy of conquest, purification, anti-Semitic, gradually leading to the Duce in a devilish vortex which Mussolini never could escape. Mussolini was captured and murdered by partisans with his mistress Carla Petacci before his mutilated body is offered to the crowd. To avoid a similar end, Hitler, accompanied by Eva Braun, preferred suicide, thus separating himself, in his last moments of the original. Mussolini was from 1906 to 1914, a socialist leader. In 1910 he launched his own newspaper clearly revolutionary tendency, very marked left: La Lotta di Classe . He will go in July 1912 until the Revolution and wish the expulsion of socialists too moderate! Likewise Hitler entered politics through the left door, infiltrating, as an indicator of the governor of Bavaria, the DAP (Deutsche Partei Abeiter) the German Workers’ Party. Became the Führer (the guide) of the DAP, he added the name of the party the terms « national » and « socialist. » The Deutsche Arbeiter Partei National Socialist was born or simply the Nazi party. 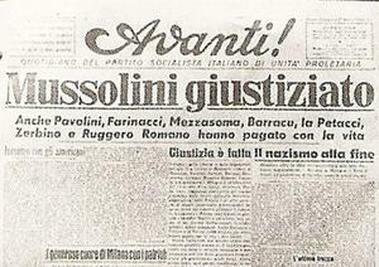 Mussolini took the right turn Oct. 18, 1914, when he wrote in Avanti! an article entitled « Of the absolute neutrality to the active neutrality » . He became a supporter of the war on the side of England and France. He was naturally excluded from the Socialist party. Hitler, in 1920, followed a similar path, maintaining the socialist themes, but by injecting strong nationalist overtones are mainly directed against France and the Treaty of Versailles. The two leaders understood early the power of propaganda and especially that disseminated by the press. 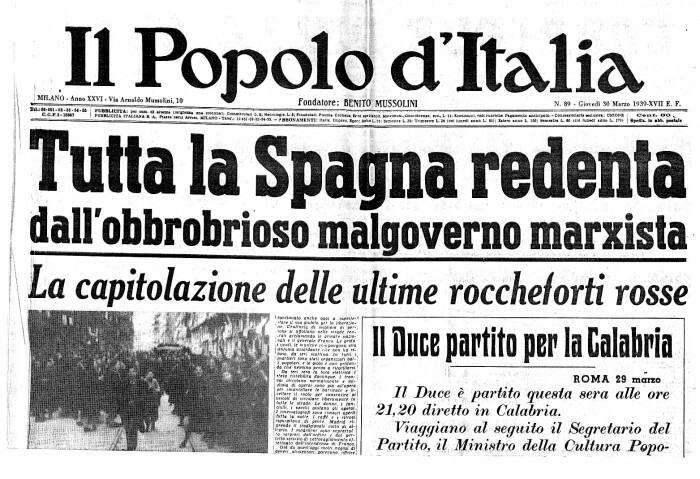 In November 1912, Mussolini took the leadership of the Socialist newspaper Avanti, before creating his own newspaper: Il Popolo d’Italia. If Avanti Popolo then were the first tools of propaganda of the Duce, the Völkicher Beobachter was that of the Führer. It was purchased in 1920 by the NSDAP to become his main means of communication and the official organ of the party. 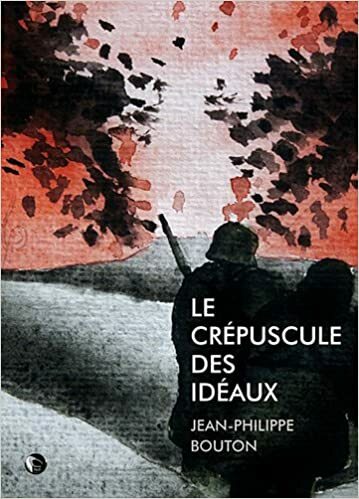 Is contained in his head as notorious Nazi Dietrich Eckart (which dedicate Hitler Mein Kampf) or Alfred Rosenberg, the great theorist of Nazism, author of the myth of the twentieth century. Supporters of the war, but in enemy camps, they were both injured (Mussolini and Hitler by a mortar by poison gas) and finished their service rank of Corporal. The postwar period was finished forging their souls future dictators. Both were outraged by the post-war discussions between the Allies, where the division of the world was made (Treaty of Versailles of 1919) without them. Orlando there was barely involved. They never accepted the humiliating conditions of peace and nourished, early on, a feeling of revenge, spreading to the passage in the collective unconscious seeds of the next war. Mussolini believed that the port of Fiume naturally returned to Italy, because of the efforts and hundreds of thousands of deaths. Hitler , meanwhile, denounced the Diktat of the Allies, which amputated Germany, including Alsace and Lorraine, and bled by war reparations required by Clemenceau. The two countries would experience a devastating inflation that plunged the German and Italian peoples into poverty. Revolutionary unrest bloodied both countries (Spartacus League Communist Party in Germany and Italy). 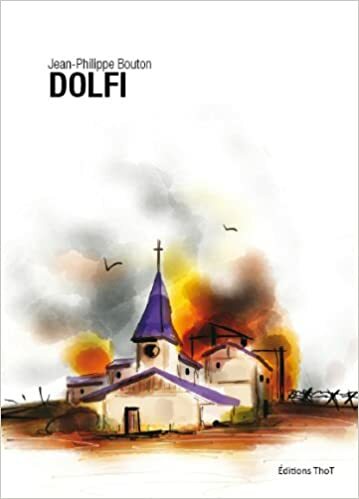 Mussolini built a party at his service (the Fasci Combattimento), incorporating demobilized army and frustrated elements: the squadristi , who adopted the traditional Roman salvation then taken by the Nazis and black shirts. The cult of the body was then put forward, in the movements of fascist youth (Ballila), as later in the Hitler Youth and Sport, the military art and obedience to the leader. Hitler, for his part, could rely on SA Captain Rohm, former Wehrmacht soldiers. Hitler and Mussolini already conspicuous by their speakers talents. They tried to universal suffrage with comparable success (a few dozen members in 1919 for fascists and some Nazi deputies in the Reichstag. the second (Hitler) to Berlin (1923). Mussolini was more successful because the walk gave him the keys of power (1922), offered by King Victor Emmanuel III to avoid a civil war. Hitler had to wait in the shade of his prison where he took the opportunity to write Mein Kampf (1923). Hitler by Hindenburg, the old Marshal-President, who appointed him Chancellor of the Reich in 1933 (10 years after Mussolini). Came to power, they did clean up their environment and the opposition parties, not hesitating to resort to political assassination, as in Italy that of the socialist deputy MATTEOETTI in October 1920, or the Socialist Minister Walter Rathenau in Germany. In 1923, Hitler, simple little head of political party (NSDAP) of Bavaria, swore while Mussolini, a model he said. Mussolini Hitler deserved to be Prussian. The converse was far from complete, Mussolini, although delighted with the expansion in Germany the Italian model, described his alter-ego of « sexual whack » and « hysterical rogue ‘! However feeds quickly an inferiority complex mixed with admiration and distrust for the omnipotence of the German war machine. Hitler tends to copy his mentor. He asked council in 1933 to Mussolini for the formation of his government. It was the October 1920-January 1925 that Mussolini set up a real dictatorship. The electoral law Acerbo in 1923 allowed him to arrange his victory in 1924 elections but he waited January 1925 to declare the regime as dictatorial (though he never controlled the Catholic Church and the Monarchy)! 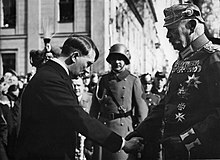 Hitler, on the death of Hindenburg in 1934 merged its Chancellor function with that of Reich President, destroying, at the same time, what remained of democracy. The cult leader was honored in Italy and Germany; propaganda showing the two leaders guide (eyes to the horizon), by warlords, often with references (especially for Mussolini) to antiquity. 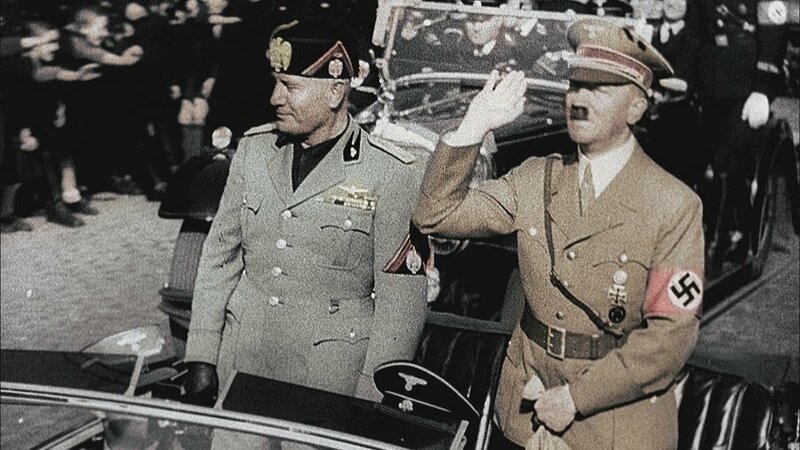 Hitler and Mussolini escaped both to assassination attempts and introduced anti-Semitic laws (admittedly inspired by Hitler), from the late 30. The highlight of this cooperation was of course the shareholders’ steel between the two countries (between the two dictators in fact) in 1939. Yet when one looks more closely, one can wonder whether Mussolini was not a mere puppet of Hitler. Mussolini wanted to recreate the Roman Empire, the great Hitler Germany: so naturally the two projects would rub at the borders. A sudden anima friendship relations between the two men. She found its origin in 1935 with the decision of Mussolini invaded Ethiopia (then Abyssinia). 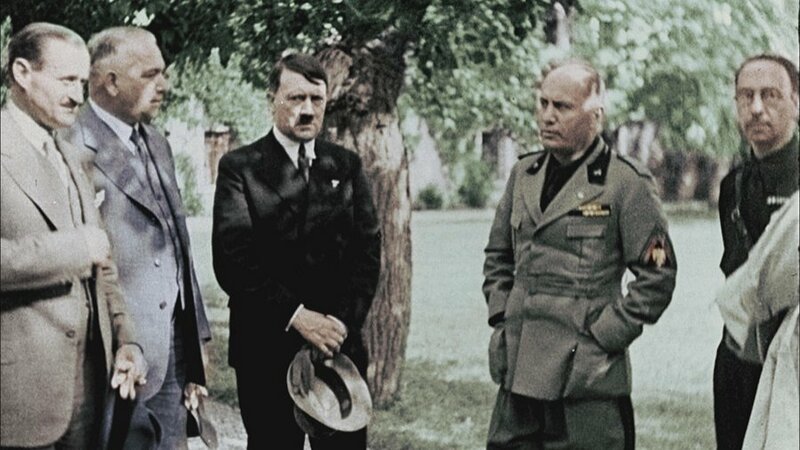 In fact, before that date, Mussolini sought cooperation with France and England. Mussolini was also worried by the projects of Hitler in Austria (1933 – 1935): Austria was to Mussolini in its sphere of influence. In 1934, Austrian Nazis attempted to seize power by murdering their Premier Engelbert Dollfuss , a declared ally of Italy! To prevent this stranglehold of Germany on Austria, Mussolini took four divisions on alert at the border between Italy and Austria and activated a severe propaganda against the Nazis. Mussolini ultimately delayed the Anschluss, the annexation of Austria, which intervened in 1938. 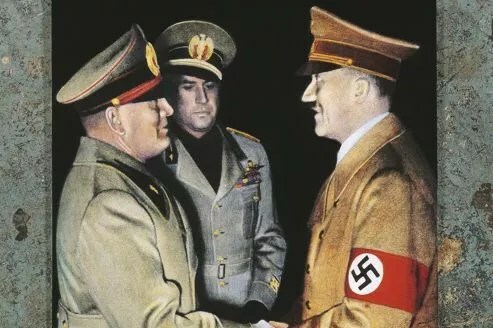 From 1935, however, Mussolini strengthened his alliance with Hitler in 1936, the Rome-Berlin axis was consolidating the association which was soon extended to Japan with the signing of the pact said Anti-Commintern in 1937. In December 1937, an economic cooperation was set up in which Italy agreed to import more manufactured goods from Germany. In return, Italy sent 30,000 farmers to work in Germany. In 1939, Italy sold his soul by becoming increasingly dependent on coal and German steel. It was in 1938 that Mussolini introduced in the Italian legislative framework of the anti-Semitic laws. Did he thus forcing Hitler? On 3 August 1938 he was forbidden to employ foreign Jews to the Ministry of Education. September 1, Mussolini signed a decree forbidding Jews to settle in Italy and Abyssinia. September 2 Jewish teachers were thanked. On October 6, the great Fascist Council announced the banning of marriages between Italians and Jews … But Mussolini was he a real anti-Semite? When the second war was launched on 3 September 1939, Mussolini, at first, decided to remain neutral. It was not until June 1940 that he decided to commit Italy in the war, that is to say when the games were made. We can consider that from that moment Mussolini became the puppet of Hitler. In June 1941, When Hitler unleashed Operation Barbarossa against the Soviet Union of Stalin, Mussolini still supported the German war effort by sending an army. German troops and Italian troops then fought across Europe and Africa coast to coast. The wind shifted and flies suddenly changed their donkeys: the Allies retook the hand, especially in North Africa (El Alamein in 1942) and Russia (Stalingrad in September 1942). The US invasion of Sicily in July 1943 sealed the fate of Mussolini, but did not ring the end of the cooperation between the two dictators. Mussolini and Hitler therefore décédèrent the same year, but in rather different conditions: the first was hung upside down and lynched by the crowd the second killed himself deep in his Blockhaus. Both dictators nourished anti-religious sentiments. Mussolini regarded Christianity as a sect which had succeeded. Others might well have taken its place, Palestine, in Roman times, abounding such brotherhoods of all kinds as the Essenes. But he saw in the Catholic church support to conquer his people. Hitler was even more vehemently opposed to the church. He told Himmler care to design from scratch a new religion based on German culture. The history of relations between Hitler and Mussolini resembles that of Dr. Frankenstein frightened by the creature he had created and began to escape.